Whilst researching the variations on the Manhattan cocktail (see my post, the Manhattan variations, earlier), I noted the scotch-based variant, the Chancellor, which includes a measure of port, preferably tawny. I have an open bottle of Madeira at the moment, which is slightly sweeter, so decided to experiment using the Chancellor as the base of my drink. My version uses a very mild, single malt scotch, sold by the Co-operative stores here in the UK instead of a blend. And in place of the usual Martini Extra Dry vermouth, I have used Cocchi Americano. The drink is fantastic, and has a very ‘Christmassy’ taste; I am not sure why, it must be the rich flavour of the Madeira. Either way, it’s a really intriguing variation on the Manhattan & worth adding to the recipe books. In honour of the Portuguese home of the Madeira, I have re-named the drink El Chanceler. 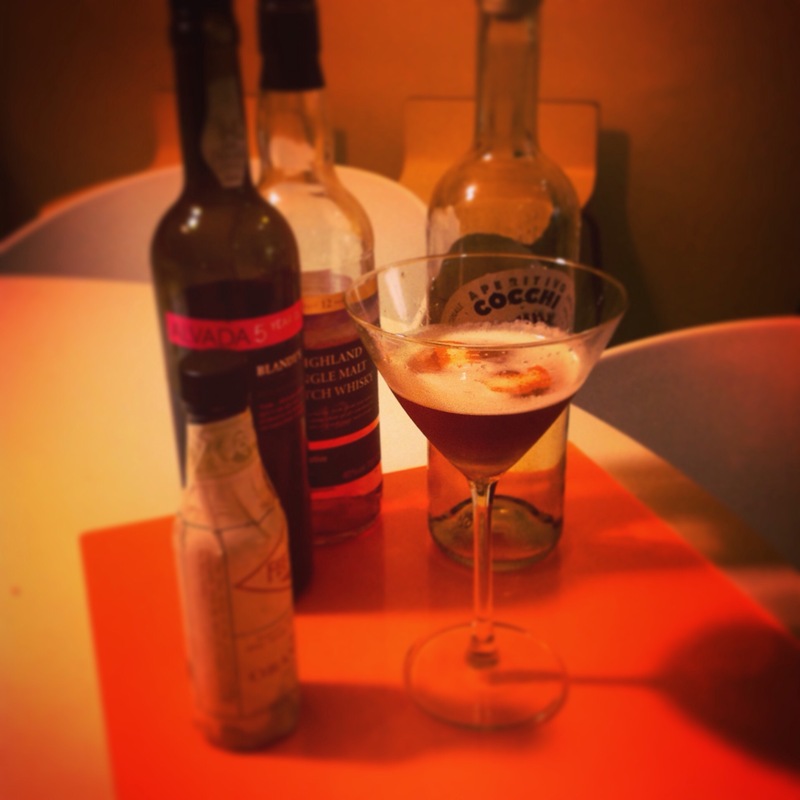 Variations: Diffords guide makes the Chancellor with blended whisky, extra dry vermouth & tawny port.